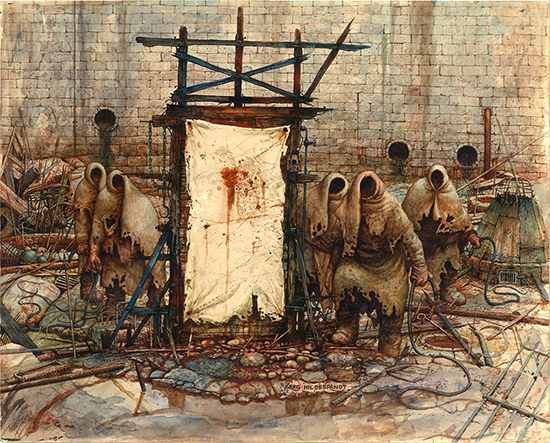 This is a photo-print of the original Dream painting titled, 'The Crucifiers – Mob Rules' done on 8x10 inch high quality glossy photo-paper. For the backstory of this amazing piece, please visitHERE which is the original painting. Signed by the artist, Greg Hildebrandt. We also have13x19 prints available for sale.